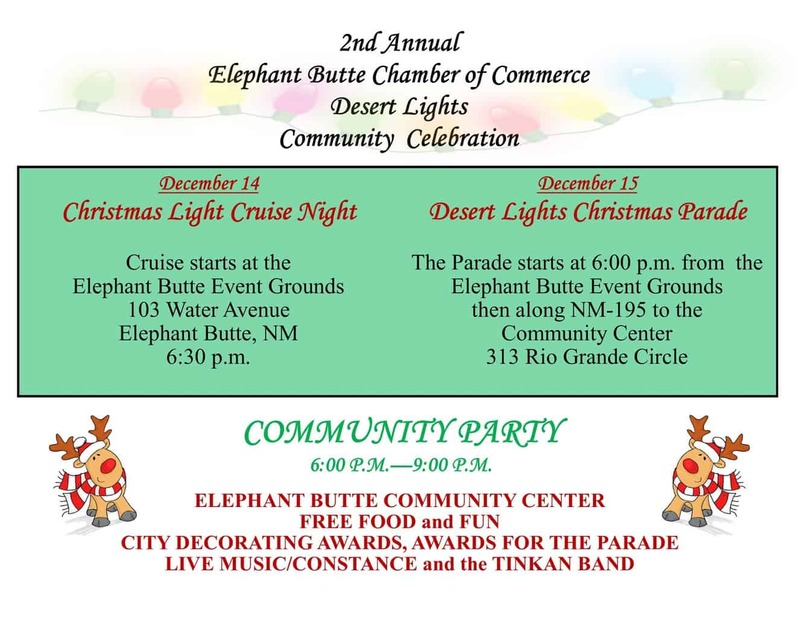 Parade starts at the Elephant Butte Event Grounds on Water Street then Heads down Highway 195 to the Elephant Butte Community Center on Rio Grande Circle near the Fire Department. Party starts at 6:00 p.m with live music and free food. Call 575-744-4708 for more information or to register for the parade.